Posts tagged "best and cheap WordPress Hosting"
Do We Really Need SEO Tools for wordpress? CheapWindowsHosting.com | Best and cheap WordPress SEO hosting. So you installed a wordpress, created a site and published an article, but what now? How will you attract visitors to your blog and how will you accomplish that search engines find it. There are many factors why some sites are ranking higher than others. So, for example, you created a site about “smoothie recipes” and you created a post about “apple smoothie”. Everything went well, you had few pictures, a video from YouTube, but when you googled “apple smoothie recipe” you saw that your site is not on the first few pages, right ? Now you’re incredulousy checking your site, wondering what went wrong? But, don’t worry, if you’re using WordPress as a site CMS, then this article will help you. WordPress is one of the most comprehensive content management systems. It’s very easy to use because it consists of various plugins which can help you optimize your site correctly. This article will be based mostly on On-Page SEO. I’ll tell you how to properly write an article, not just for search engines, but for people who read it, and how to market it effectively. Last time, I wrote about how to get blog ideas in minutes so this guide is a follow-up of that post. Since wordpress platform has so many plugins, there are two main SEO plugins that are worth checking. 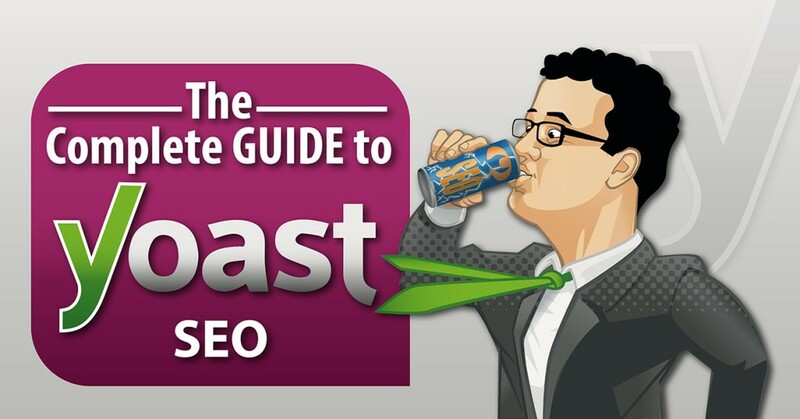 One is called Yoast – it’s comprehensive plugin that has lots of options. It helps you optimize each article and it warns you if you forget about writing meta description, if your post has less than 300 words or if you have unnecessary slugs. Second one is called All-in-One SEO. It’s less complicated than yoast, but also great. It’s very user-friendly and it let’s you configure the main SEO for any page you create. Lots of sites compare these two plugins, but in the end, the difference is not that big. When it comes to blog posts, on-page SEO and quality of article are determined factors of the value of your site. So if you’re new, I recommend focusing on writing quality and comprehensive articles that readers will love. SEO is something which can be learned easily, and once you get hang of it, it will flow through your articles like a wave. Title tag is, as you probably know, one of the most important SEO factors on a site. Currently the title tag looks like this: “Post name | Site name “. There is a lot of debate on whether to use only the name of the post, or to add the name of your site, but it’s up to you. This site uses this model -> Post name | Site name. If you want to be more specific on title tags, then – once you install the AIO SEO Pack – go to Settings >> All in One SEO Pack, and then put where it says “Post Title” this sign “% post_title%” or “% post_title% | % BLOG_TITLE% ” if you want to use Post name | Blog name. I’ll skip meta tags because in 2016. they are not relevant SEO factors. These are basically little snippets below your title which tell about your site, but they are no longer relevant. Permalinks, however, are important. Permalink is basically the URL of your site. After installing WordPress, your URLs will look like this “www.site.com?p=38“, but this doesn’t looks good, right? It would be much better, if your URL would look like this “www.site.com/wordpress-seo/“. It not only looks better, but it notifies Google that you plan to rank for a keyword “wordpress-seo”. You can change how permalinks work via Settings -> Permalinks. My advice is to choose the first option called “Post Name”. Pingbacks are used for communication between WordPress blogs, or to notify a blog when other links to it. So for an example, when you link to another blog via an article, the owner of that blog will know who send him that backlink. This has some benefits such as – if you regularly link to someone, he will probably remember to link back to you, and secondly – if someone has already mentioned your site, you can contact the owner of that blog and ask him if he can change the anchor to one which suits you. You can set pingbacks by going to Settings -> Discussion. Redirection is, for most of the webmasters, an irrelevant factor. Many sites make a big mistake and allow their site to be available with both www and non-www versions respectively. This means that user can go to your site via www.site.com or site.com. When you install WordPress for a first time, you’ll get 302 redirect. However, 302 means temporary redirection, and we need permanent – 301 redirection. 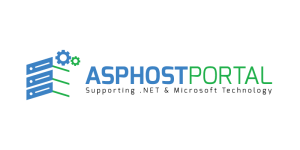 If you’re using ASPHostPortal.com you can change this via PleskPanel, but if you don’t, you can manually overwrite the .htaccess file in your root folder. Search engines love structures and codes that are readable. One of the great plugins is called “W3 Total Cache“. It’s a little hard to adjust ( you can find a video on YouTube to simplify the process ), but in the end it helps you increase the speed of your site, while, at the same time, it ejects the missing codes and structures which are not properly set. XML sitemaps are used to inform search engines about the new websites or new posts and thus help you in indexing those. From the above plugins only Yoast comes with this option, but if you don’t want to use Yoast, you can easily downlaod “Google XML Sitemaps” plugin. It is a plugin that will do an excellent job. CheapWindowsHosting.com | Today I would like to share the tips for wordpress development. In this post will educate you about some best practices that help you enhance your overall skillset being a WordPress developer. You’ll be supposed to make the selection of designs, which might not be your cup of tea. It is an undeniable fact that design is the most critical aspect of any web development project. No matters how good you’re at coding if your layout can’t convince the users. Well, this is not something new. There isn’t any need of using thousands of words to discuss pros and cons of every new design trend. There are chances that you might be aware with some of them through your usual browsing habits. However, it is completely a worth to invest some of your time dedicatedly to stay updated. Responsive design leverages user to adjust as per the screen size of user’s mobile device. As the modern day time is mobile-first, it’s quite imperative that a website is responsive. You can’t run away from this. If you will overlook this crucial aspect, you will be pushing away approximately one-third of your website’s traffic. In fact, it is quite easy to implement a responsive design these days with the plethora of tools and techniques. The only thing to be kept in mind is that you’re getting it and not spoiling your design for an ample amount of intended audience. People tend to be very quick in terms of exploring a website thoroughly. They won’t be staying on your site if the content is not relevant or narrating a completely different story from that of yours. Be it labelling, web page or any other content piece – you have to define everything clearly so to avoid any confusions. Developers stay streamlined for most of the time, due to the nature of work they’re serving in. Some of them often treat websites like old-timey newspaper and pile up a lot of information on their website, making things complicated for the user. It is always preferable to make good use of white space available to you. Justified placement of things makes your website look professional, unique webdesign and likeable for the users. Considering the design aspectHealth Fitness Articles, fonts form quite an essential part. It is advisable to make use of the certain set of fonts so to avoid inconsistent looks. Typography can either compel or shoo away the users from reading the entire website content. So make sure your website’s typography is taken care of well. Hope the practices mentioned above would help you improve your WordPress development skills to another level.Hope the practices mentioned above would help you improve your WordPress development skills to another level. CheapWindowsHosting.com | Are you currently setting up your website for your new online store and would like to make it safe, legible for your customers and compliant to the rules of financial institutions involved, such as credit card companies? There are some best practice rules ready for you. Identification – make sure that your company is recognizable by your customers (cardholders) at any time. If your company XYZ sells a project X and its name is the most visible on site, put X as a descriptor on cardholders’ bank statements (point 10) but also place your company name in the footer of every page of your website. Location of the company – The registered address of your company (street, zip code, country, no post box) must be present on the website and should be displayed directly before the purchase. Contact address for customers – you must specify a contact address for your customers. This may be a phone number or an email address, under which the cardholder would be able to obtain information on effected transactions. A customer should be able to contact a merchant for a period of up to 90 days after the date of the transaction concerned. Clear description of the goods and services offered – the goods and services on offer must be completely described in order not to confuse a customer about their features and prices, so not only the size and color but also the technical requirements (for instance voltage for electrical goods) should be displayed. Range of goods – The range of sold goods must correspond to the type of business declared earlier by a merchant. If a merchant is going to change any type of products and services offered on his website (e.g. he sells ebooks and now plans to sell hotel reservations) he should contact PayLane first to clarify whether he can sell a new product or service using the same merchant account. Transaction currencies – Each customer shall be informed of the underlying transaction currency before conclusion of the purchase. The corresponding country name must also be specified unless the currency is compatible to ISO standard (e. g. “USD” or “US$” rather than just “$”). It helps to avoid problems resulting from symbol misunderstanding (Australian, American and Canadian dollar have the same symbol). Confidentiality warranty – you must ensure confidential handling of all customer data received. Proceeding in the case of returns of goods, refunds and cancellations – you shall inform the customers clearly of their rights and duties in the case of returns of goods, refunds and cancellations. This information must be made clear to the customer before the purchase, in order to avoid misconceptions, contradictions, and conflicts as far as possible. Statement on/implementation of transaction security – the merchant should clearly point out the exerted measures for transaction security (e. g. SSL encryption) to the customer. Relation Clearing Descriptor – The customer must be able to establish a relationship between the clearing descriptor (on a cardholder’s bank statement) and the contracting company, e.g. by using the company name or the URL as clearing descriptor or by an explicit indication on the website. Integration of the VISA and EUROCARD/MasterCard logos – The logos of the credit card companies should be integrated in an appropriate form. At the same time their appearance should not be put at disadvantage with the appearance of the other means of payment. Moreover the logos should be displayed in such a way that the credit card companies are not accidentally classified as suppliers of the product or service. Price display – The customer must be able to identify the final price of a product unmistakably. Debiting time of the cardholder – It is recommended to debit the cardholder after the goods have been delivered or the service has been rendered completely. Issuing of invoices – the merchant should announce the time of the issuing of the invoice as well as the subsequent fulfillment (e. g. in case the ordered goods can only be supplied in partial deliveries). Promise of immediate execution of orders – it would be ideal if you could send an email to the customer one day after receipt of the order at the latest, confirming the order. If the goods are not available at the moment, the customer should immediately be informed of the altered delivery times. Promise of reaction times for all customer queries – the merchant should react to all customer queries (e. g. via email or phone) within two workdays. Shipping policy/delivery facilities – All details on the merchant company‘s shipping policy or other conditions must be clearly specified on the website. Exportation restrictions – If you are aware of any exportation restrictions, these must be specified explicitly on your website. Transaction receipt – In order to find a solution for cardholder and the merchant in the case of a conflict, an unequivocal identification number must be assigned to every transaction. The ID must be clearly specified on the transaction receipt. Online address of the contracting company – you must always specify the URL of their web presence on the transaction receipt. 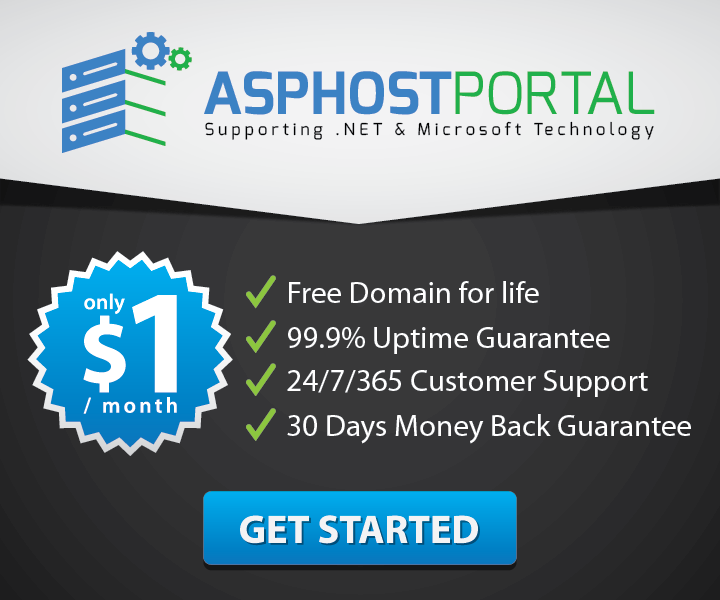 ASPHostPortal.com aims to provide customers with affordable yet reliable and lightning-fast silverlight 6 hosting packages. Their servers and staff are both located in the USA. Their company has hosted 60,000+ websites over the past four years. With 99.99% Uptime and 30 Day Money Back guarantees your satisfaction is guaranteed. Combine that with super fast and friendly 24/7 support and it won’t be long before you are smiling. CheapWindowsHosting.com | Cheap and affordable WordPress hosting. Let’s face it: running a WordPress blog or site is no easy game. You have to take care of all the content, marketing, site design, social media, and so forth. But before you do that, you have to make sure your WordPress site is running smoothly and your current hosting provider isn’t giving you any headaches or issues. Today, most of the web hosting companies out there focus on providing affordable solutions. And that’s a great solution if you’re just getting started. But for a medium-sized or business site going for high-quality hosting is a better alternative. By quality hosting, I mean managed hosting, which is specifically created for WordPress users. This new breed of managed WordPress hosting is becoming an increasingly popular option among WordPress bloggers and developers. It all started with WordPress.com, but now there are numerous players in the market. Managed WordPress hosting aims at providing faster loading times, better security, and expert WordPress support. But it’s a bit costlier than shared hosting companies. Their servers are configured to provide better and faster WordPress performance. In this article, I am going to provide some basic information on the 8 most trusted and best WordPress Managed Hosting Services, so you can make an educated decision about what’s best for you and your business. Managed hosting is specifically designed and optimized for WordPress websites. In other words, it takes care of all the technical aspects of WordPress for you, allowing you to focus on creating and sharing great content. 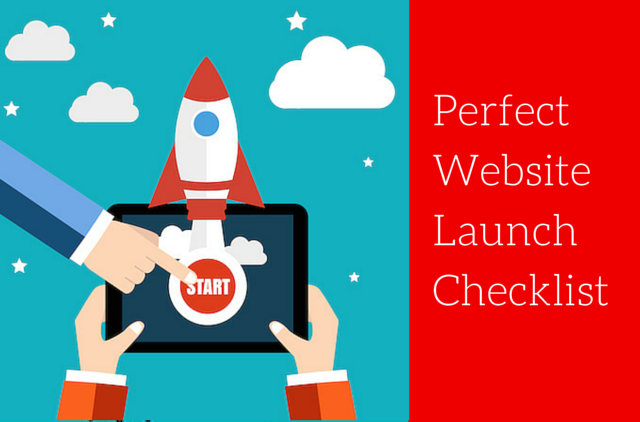 You don’t have to worry about site updates, site speed, up-time, or anything like that. The main aim of premium managed hosting is to provide bulletproof security. They have a very tight layer of security on their servers, so you don’t have to worry about hacking, DoS attacks, malware, or other security issues. It wouldn’t be fair to say that shared hosting providers have poor support. In fact, most companies have excellent staff who are well-trained and possess a good knowledge of WordPress. But they can’t assist you with things like performance, site functionality, WordPress errors, etc. With managed hosting support, you will get expert WordPress assistance, always. Speed plays a significant role in site rankings and there a lot of things you can do improve it like implement a caching plugin, use a content delivery network such as MaxCDN, and reduce image sizes. Most of the managed hosting companies out there enable content caching at the server level, so you don’t have to rely on any external caching plugins. If you’re going with a normal plan, then you might need to use a content delivery network to improve site speed. They take a daily backup of your site including content, data, themes, and plugins, which you can then download from the dashboard. This can save you some money, especially if you are using a paid backup or maintenance service such as VaultPress or BlogVault. They also create a restore point. In case something goes wrong, you can easily restore your site to a previous working version with just one click. They will automatically update your WordPress Core files to the latest version, as soon as an update is released. You don’t have to pay someone extra to update your site anymore—your managed hosting provider does it for you. They also create a restore point. In case something goes wrong, you can easily restore your site to a previous working version with just one click. No matter how much traffic your site gets, it will never go down. That means, if you hit the homepage of Hacker News or Reddit, you site will still be up and running without any issues.